There has been a lot going on this winter… and not much time to write about it. 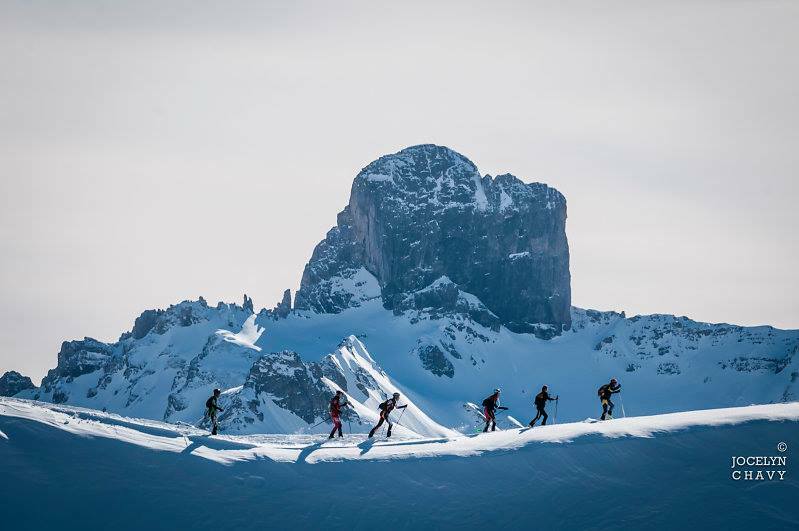 However the Pierra Menta was probably one of the highlights of the winter season and the year so far! 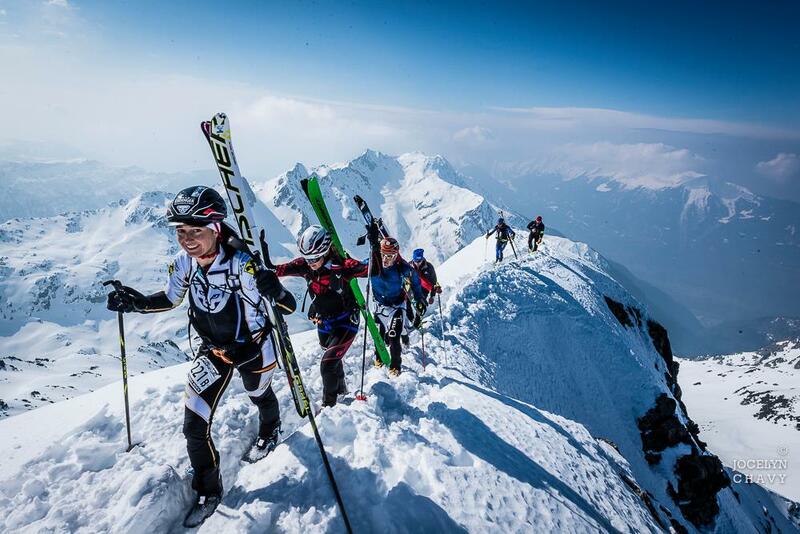 The Pierra Menta is like the Tour de France of ski mountaineering racing. Granted it is 4 days rather than 21, but it is the closest we have. 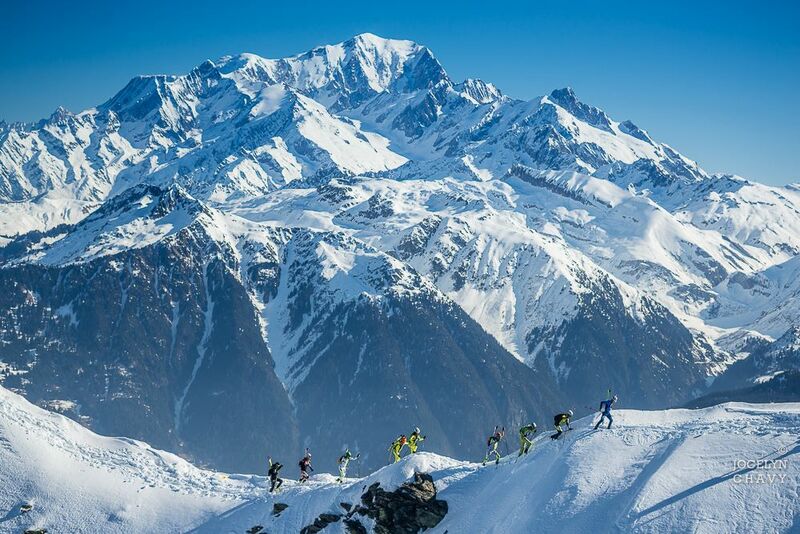 Over 4 days each skier completes around 10,000m of skiing uphill and down. It is located in the Beaufortain region of France, just south of the Mont Blanc massif, a beautifully secluded and unpretentious region of the alps. 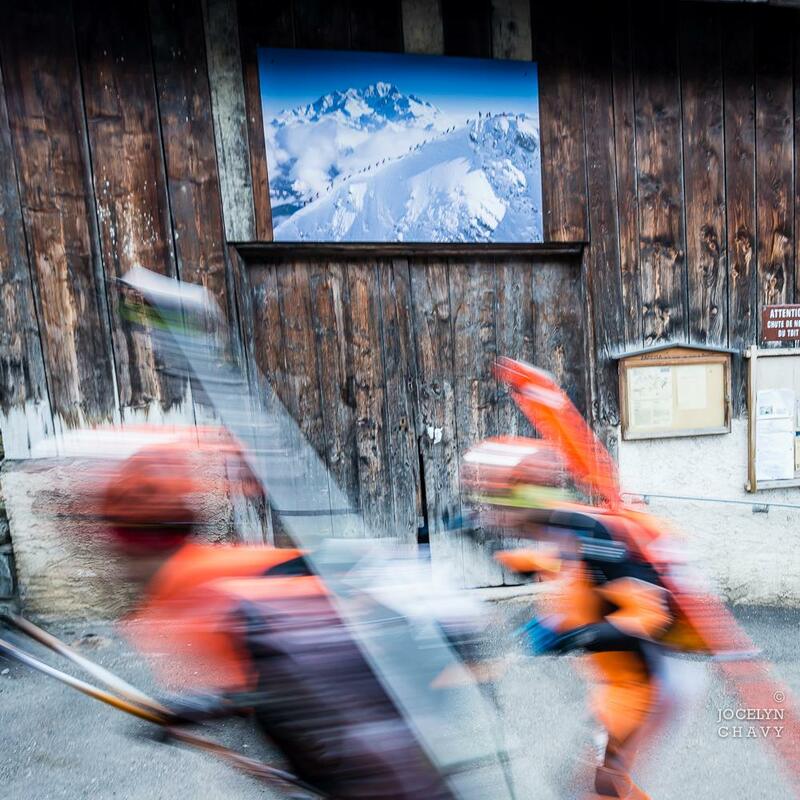 Great for quiet tours in spectacular surroundings… or a giant race once a year! Day1 was uniquely in the format of a time trial, teams leaving at 15 second intervals. 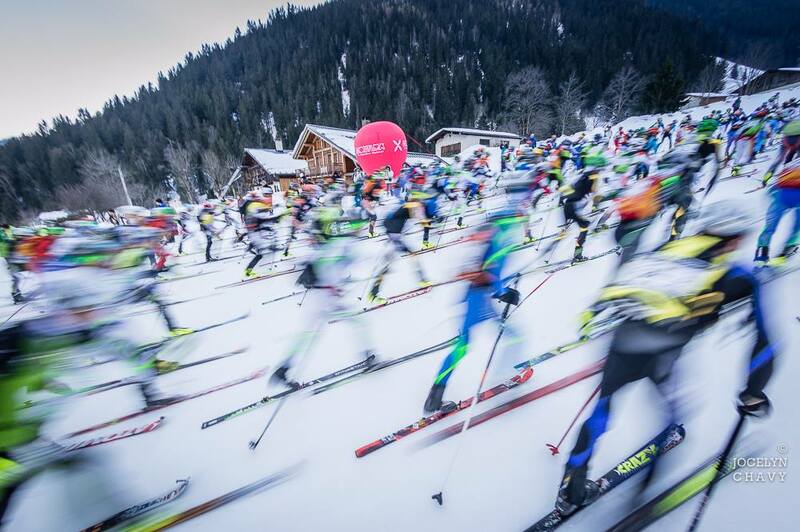 This made for a very civilised start compard to the normal mass start of 200 teams (I.e 800 spikey ski pole tips gyrating in the air around you!) Normally the first three days are c.2700m with a shorter final day, though this year we started with the shorter 1800m day. 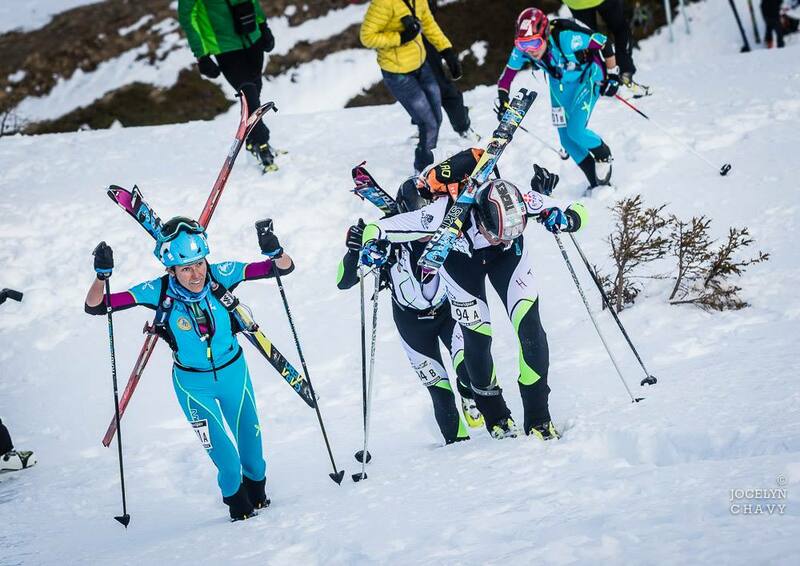 It was Laetitia’s carrying of her teammate’s skis on day 1 that inspired me to adjust my pack to take two pairs of skis also as though my teammate and I are usually well matched in these races, I usually get ahead on bootpacks as they suit my rhythm better. As the first day was a time trial it was hard to know how one is doing. Our seeding was 26th team out of c.180 teams which was way higher than we could ever expect to be even if we were on form so we expected to spend the day getting passed by half the field, which was pretty much the case! The descents were pretty tough going as the snow was icy hard. The race was over pretty quickly though, and left us all eager for more! 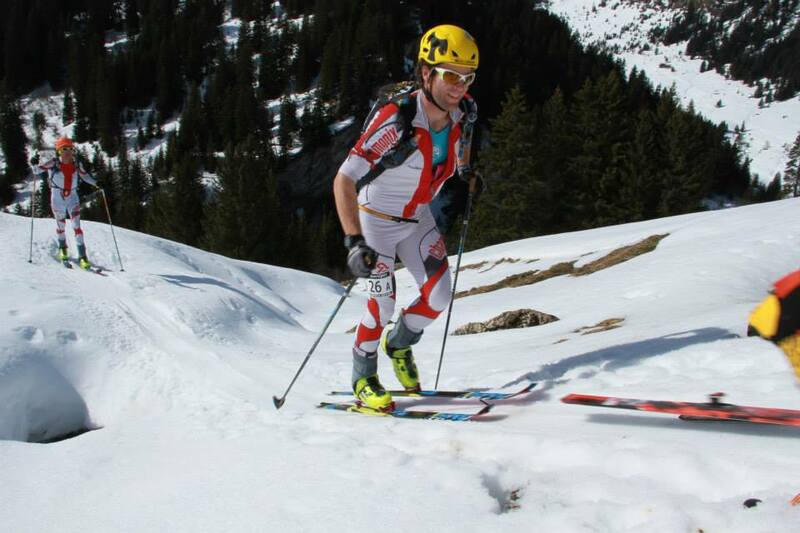 After each day one ends back near Areches Beaufort and the lodging is in comfortable hotels, or apartments. Copious breakfast, lunch and dinners are included in the entry fee, as is a massage each afternoon! Really the race is just a few hours exercise before an afternoon of eating and relaxing! All the better as the atmosphere is very jovial and it is a great place to meet and catch up with friends with similar interests! 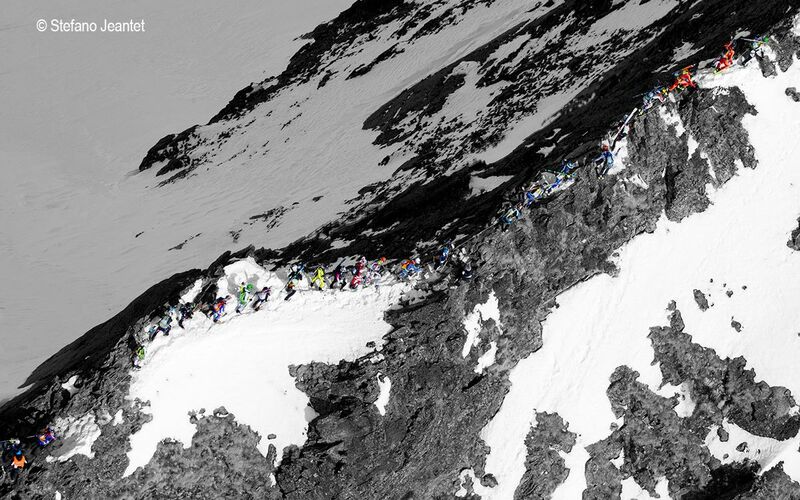 Day 3 was again fairly epic, taking in 5 climbs, 2800m and about 30km horizontal to get us over to and right under the vertiginous cliffs of the Pierra Menta itself. 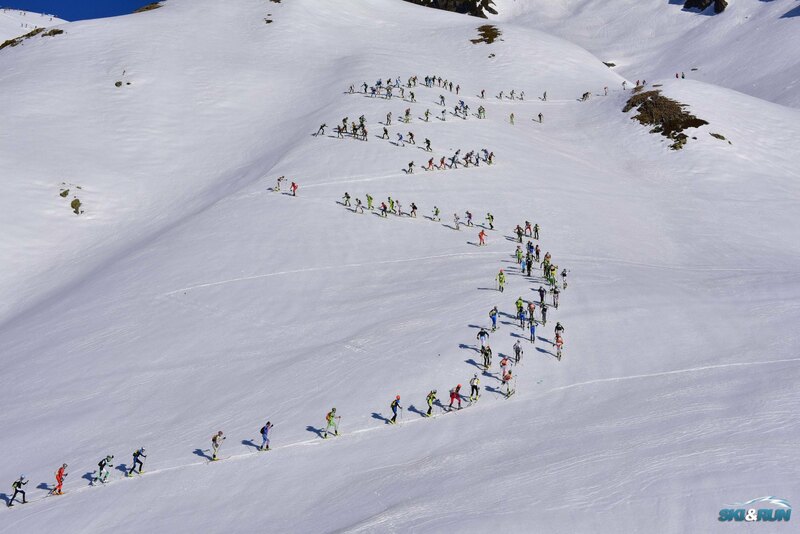 The race started with the usual mass start up a short climb, but then hurtled down a ski du fond track back to the town of Areches Beaufort where we began a brutal (for non runners like myself!) run through the town and up the roads above to meet the snowline 400m higher! The fourth climb of the 3rd day up Mont Coin heading back from the Pierra Menta… starting to warm up in the sun! Despite being a Friday there were already loads of supporters out encouraging us on! Thanks to Grag Mathis for this photo of me towards the end of this stage! 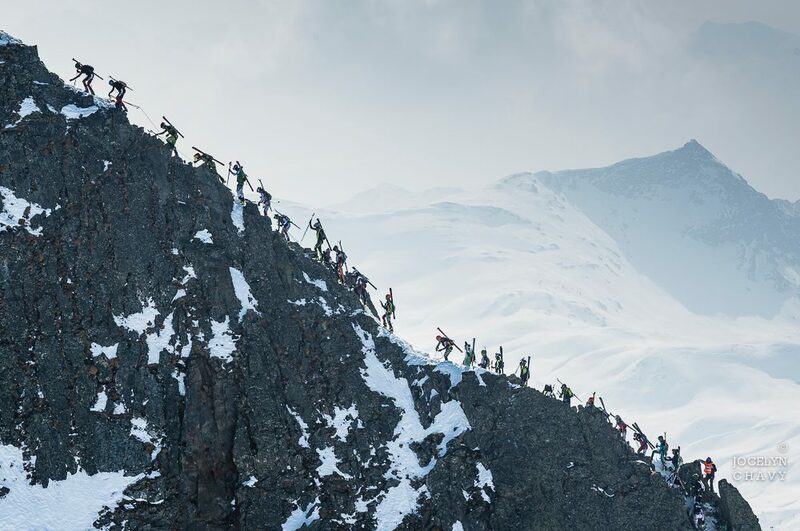 What the photos and videos rarely manage to capture is quite how steep, technical and serious some of the descents are in these races. 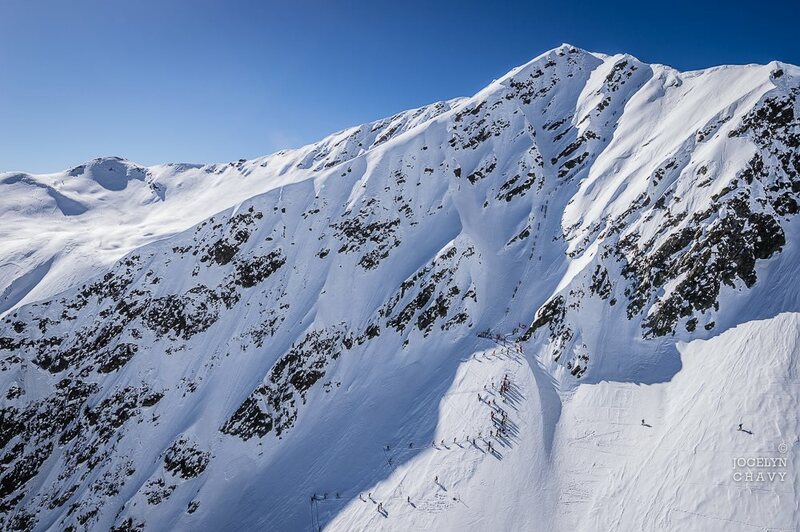 There were certainly a couple of points on days 2,3 and 4 where blowing a turn wasn’t an option! 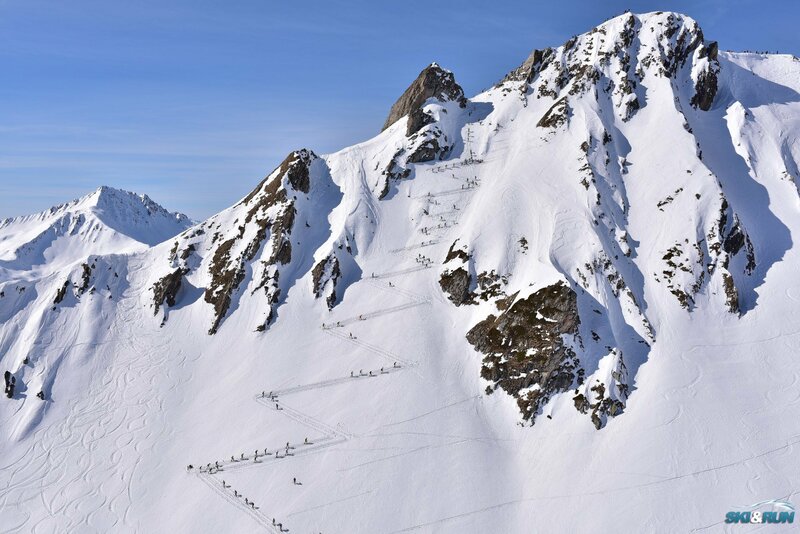 Day 4 is what the Pierra Menta is all about… Saturday on the Grand Mont (2686m)! 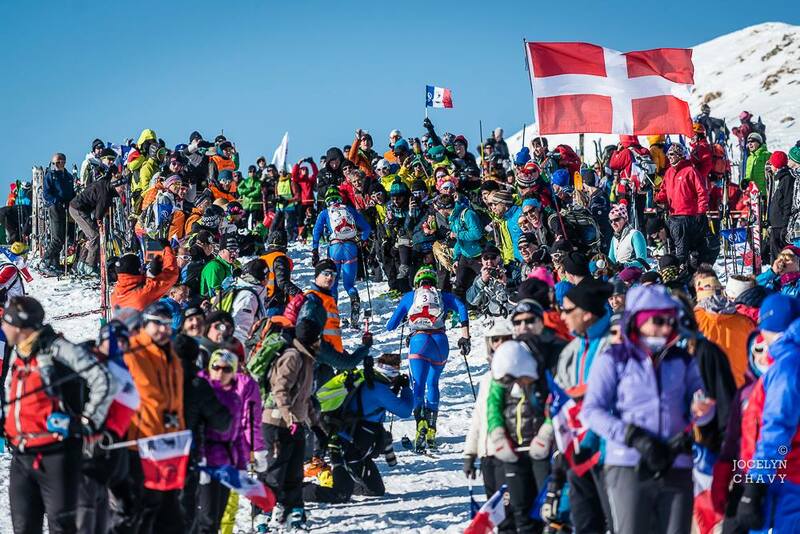 another huge day, lots of boot packing, technical ridge traverses and thousands of spectators urging everyone on… from the fastest to the slowest! All in all an excellent 4 days well organised fun! 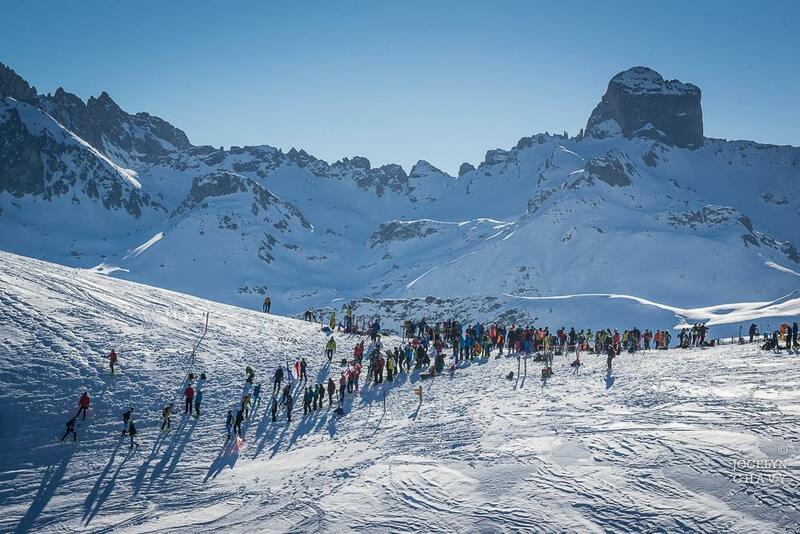 Great terrain, views, skiing and people… bring on next year! With the race in the bag it was back to the hotel for lunch, and another afternoon of relaxing before the final prize-giving, meal and party down in Beaufort.